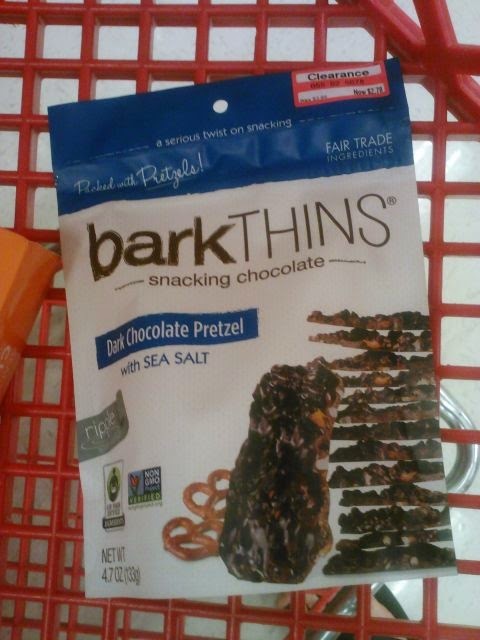 Earlier this year on a random trip to Costco Matt and I discovered Bark Thins. After seeing them in natural food stores over the last few months we were happy to find them at Target. Not only did Target get them in last month - they had the bags on sale 3 for $10! Score! Seeing as the grocery store we shop at has them marked at $4.99 a pop! We bought are share of chocolate and over the weekend when we ran out I went to get more and went into chocolate panic mode when I could not find the display. I had this crazy hunch to go to the clearance section of the store and I discovered my chocolate fix crowded among dented cans and food rejects. Then I discovered the price at $2.78 a pack and swooped up a handful of chocolatey goodness. I stocked up on my favorite flavor - the pretzel variety, then went for a few mint and rounded it off with some almond for Matt. Dark fair trade chocolate in-robes pieces of pretzel, mint or bits of almond. A perfect broken off chunk of thin chocolate that melts in your mouth upon contact. Perfect for after dinner with a cup of tea or broken into chunks and tossed into non dairy ice cream. I like that the bags have a zip lock clousure and you can just grab what you need and put the rest away. When I go back I will see if there are more on the shelves. Who says a pantry full of chocolate is a bad thing? I LOVE these! I can't believe you found them on clearance, nice one! Oh yeah, clearance win! These look AMAZING! I love your theme. 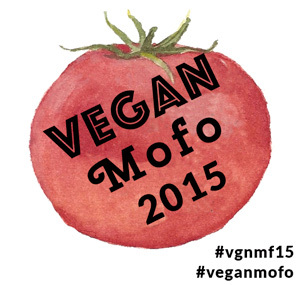 Food for the masses! These look great. Looking forward to seeing more! These are amazing! I can't bring myself to buy anything but the pretzel kind. After reading this post I found these on clearance at my local Target. I bought three bags of the pretzel variety and they are SO FREAKING GOOD. Thanks for the recommendation! I picked up a bag of the mint ones on clearance today, so good! this is 3 years old, things change.